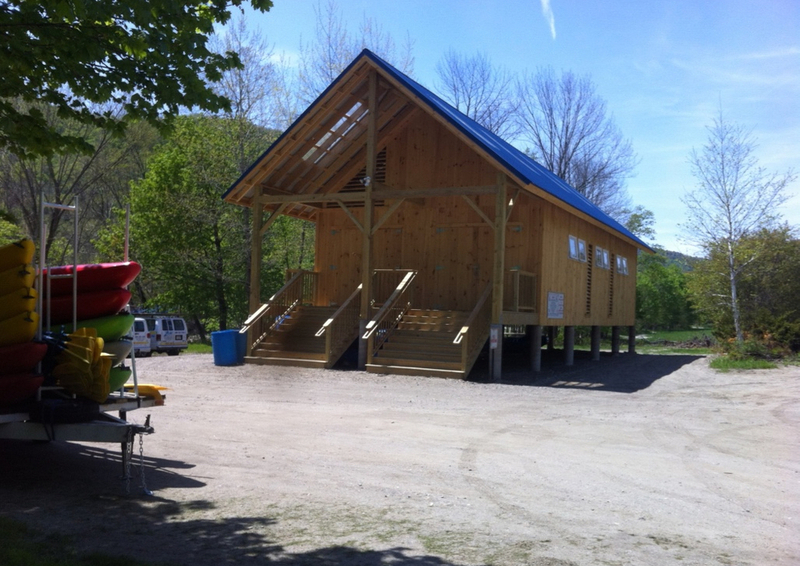 The Zoar Outdoor storage facility was built on the footprint of a barn swept away by the Deerfield River during tropical storm Irene. The building is a starting point for a local whitewater rafting company and is used to house equipment and supplies and life vests for rafters. Elevated above the floodplain, the structure is designed to withstand high waters for the next storm. Construction done by Gerry Home Improvement, Charlemont MA. This project was done with Vreeland Design Associates.